For centuries, gold artisans in Kyoto have long used abaca paper to protect the precious gold they hammered into whisper-thin leafing. 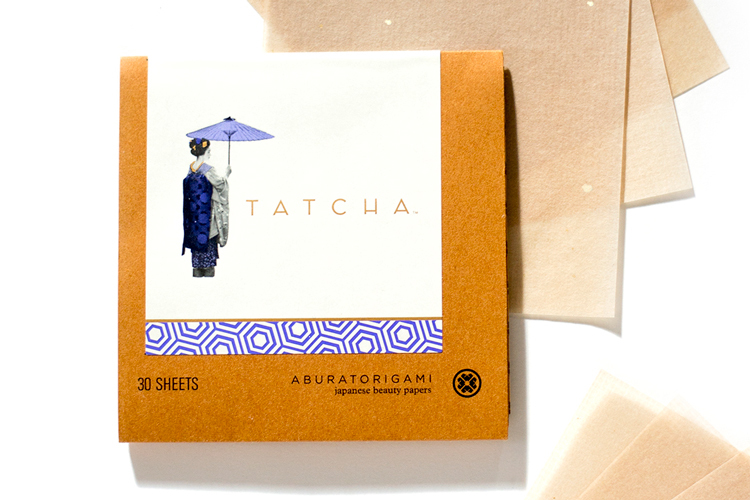 The geisha discovered these papers were also incredibly soft, strong and absorbent, ideal for removing excess oil from delicate skin without disturbing makeup or stripping skin of essential moisture. Tatcha uses 100% abaca leaf, made from its innermost pulp, to bring you this time-tested secret, handmade in Japan. The 23-karat gold flakes in each leaflet are an homage to the gold-leafing workshops where this treasure was discovered. Fragrance-free. Powder-free. Oil-free. All-natural and biodegradable. Cruelty-free. For a petal-fresh complexion, gently pat a single leaflet anywhere there is excess oil. Do not rub or wipe. Use both sides of each sheet and discard after use. Original Aburatorigami is rated 4.9 out of 5 by 26. Rated 4 out of 5 by Ashton from Oiliness is over i really like this product because it removes excess oil that can build up throughout the day without ruining my makeup. It's a quick way to get a fresh "clean" face between work and dinner without having to wash your face to start over, or caking on more make up. Only reason I didn't give this a 5, not sure if my skin is really THAT oily or if the product is not big enough. I feel like I need to use 2 to really get the job done. Rated 5 out of 5 by Sally from Cream blush stays on all day I have always had a problem in the warm Florida climate with cream blush melting into my skin an hour or so after application. 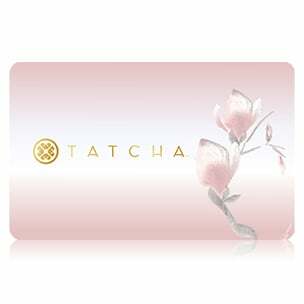 Now that I am using Tatcha blotting papers, I pay special attention to the cheek area when blotting and the blush adheres to the skin and remains put throughout the day. Previously, I had to reapply blush often and it caused breakouts. Not any more! I just love these little blotting papers! Rated 4 out of 5 by CLMore from Makeup stays in place I used the Tatcha beauty papers mid-day to try to rid my face of some T-zone shine. They seemed to pick up quite a bit of oil and my make-up didn't move at all. My t-zone wasn't totally matte after use but it was much better than before. Overall, this is a great product for people with combination skin but may not the best for someone who is more oily. Rated 5 out of 5 by Audrey from Love these! I have tried quite a few different brands of blotting papers and these are by far the best. Many others are too small or leave a pasty white cast on your face. Also, the Tatcha papers are the ONLY ones I've ever found where you can use BOTH sides. They remove oil without touching makeup and do not leave a white cast on the skin. The Tatcha blotting papers are also beautifully packaged. I don't use any other brand. Highly recommend! Rated 5 out of 5 by Alana from Truly Amazing These truly are incredible. I have always had oily skin and no matter what primer, what powder, what make up setting spray - and I don't even wear much make up - it was always sliding off my skin. These are a life saver, the only things that have actually gotten rid of the oily make up look, and helped my face stay that way for the rest of the day or night. A "can't live without" product. Rated 5 out of 5 by Amy from The best of the blotting papers (but- this one is a sheet) I always skipped the blotting papers because most of the brands I have tried were very thin, small and not worth the time. They would fall apart. Like the difference between a great paper towel and an average or less type. I work under hot lights on TV and these are very helpful. I love that they are so affordable. Gently press and your done! Use as needed. Where is your gold sourced from? 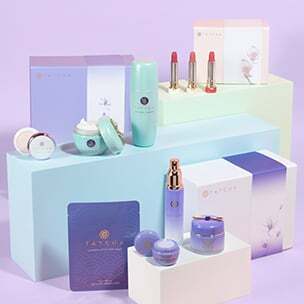 I'm concerned about the gold-related environmental destruction in the Amazon particularly, and however much I love Tatcha products, I would never want to support that (and it's only included as a historical nod here too). Thank you for your question! The gold is from Australia, and the gold leaf is made in Japan. We hope this helps! Do these expire if I don't open the pack until later? I want to purchase them now b/c of the gwp but I only need them during summer. Will these not expire before then? Great question! Our Original Aburatorigami Beauty Papers are not considered to be a skincare product so it does not have an expiration date. You will still be enjoying them later this summer! Gently pat with a single leaflet&mdash;do not rub or wipe. Begin with the T-zone and blot entire face. Both sides of the paper sheet can be used. Discard after use. What step in my skincare ritual is this product? Aburatorigami paper sheets can be used at any time. How do you pronounce aburatorigami, and what does it mean? Aburatorigami (ah-BOO-rah-tour-i-gah-mee) refers to the gold-leaf origin of the blotting papers. The literal translation is &ldquo;oil papers&rdquo;, referring to the absorbent quality of the leaf. Are the beauty papers only for people with oily skin? No, the papers can be used by all skin types, and are an excellent alternative to powder for keeping skin petal-fresh. Will the gold flake transfer onto my skin? No, the gold flake is transfer-resistant. Unless the paper is completely soaked in water, the gold flake will not come off.